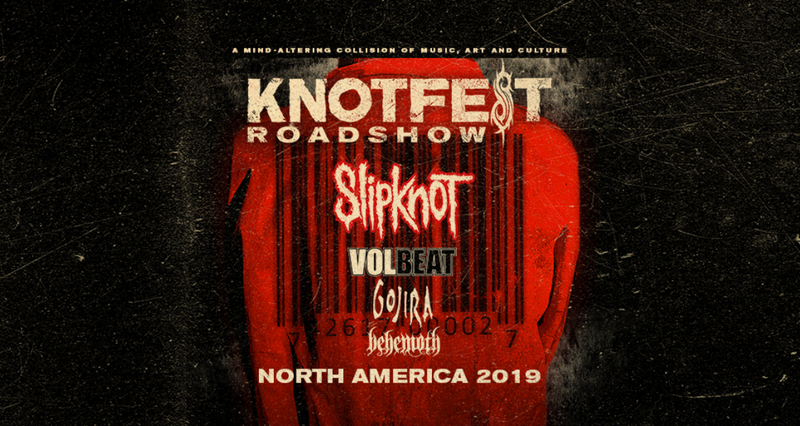 Tickets On Sale To General Public Starting Friday, March 8 at 10 a.m.
AUSTIN, TX (MARCH 4, 2019) – SLIPKNOT have announced their live return, unveiling details of their massive Knotfest Roadshow headline tour set to traverse across North America this summer. Volbeat, Gojira, and Behemoth will join as special guests on all dates. Produced by Live Nation, the tour stops in Austin on Friday, September 6th, 2019 at Austin360 Amphitheater at Circuit of The Americas. Tickets for the Austin performance go on sale to the general beginning Friday, March 8, at 10 a.m. local time at Ticketmaster.com.